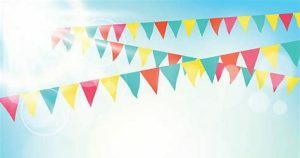 Collett Park Day will be held on Saturday 8th June 2019, the second Saturday in June and is a celebration of Shepton Mallet and the surrounding area’s leisure and charitable organisations in the town’s wonderful Park gifted to Shepton Mallet by John Kyte Collett in 1906. The park opens at 10am to the public with an all-day celebration, with community displays in a central performance space. 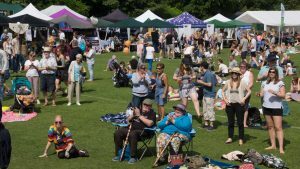 Multiple deli food providers join the food court traders and bar, with a wide range of local groups, charities and traders offering anything from cheese to cider, jewellery to jumpers, face painting to falafels, artworks to Army Cadet Corps displays. 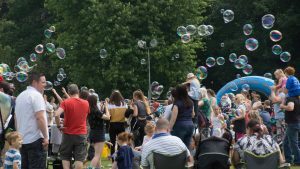 Get involved in Collett Park Day 2019 ! If you are an organisation wanting to raise money for your charity, we would love to welcome you to Collett Park Day 2019. Please complete the application form and send it back to us with the documents requested on the form. Please be aware that we will need completed forms back to us by Wednesday 8th May at the latest. If you are a Trader wanting to have a stall, we would love to hear from you. 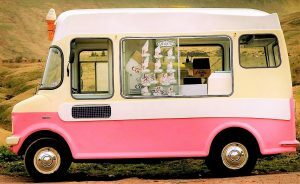 If you would like a car boot pitch at this years Collett Park Day, please complete the form and send it back to us. Please send your completed application form, along with requested documents to info@sheptonmallet-tc.gov.uk or by post to Town Council Offices, 1 Park Road, Shepton Mallet, BA4 5BS. 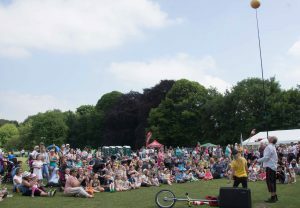 If you would like any more information about Collett Park Day 2019, give us a call on 01749343984 or send us an email. Collett Day is a Collett Park Charity event supported by Shepton Mallet Town Council. The day is organised and run by dedicated volunteers including many of the town’s councillors. Collett Day is well attended again by thousands of local residents and increasingly many are also travelling from the county’s hinterland and further afield, allowing us to showcase the town.